Test Riders now on Hargid's Magical Creatures Motorbike Adventure. Hargid's Magical Creatures Motorbike Adventure update with ride testing video of the launch from hagrid's hut. Sea World Orlando Sesame Street Final Construction Update looks at the current status of construction including aerial photos. 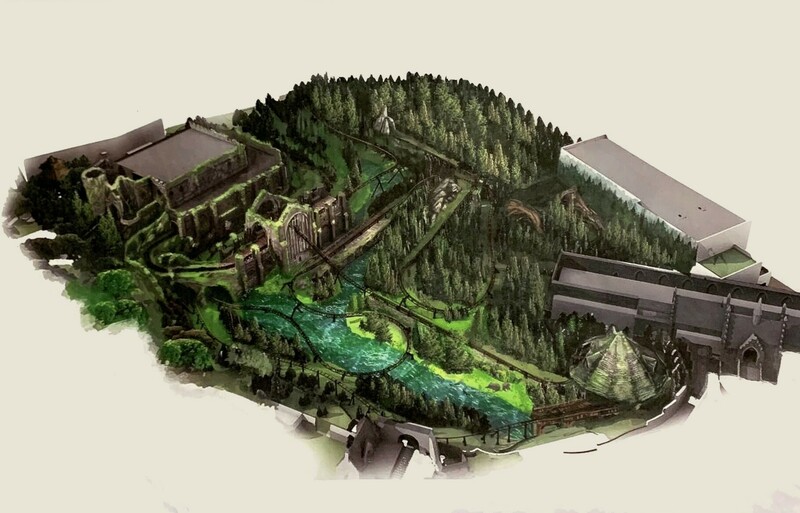 We also look at all the new amazing attractions and experiences that will make up this new land. Grand Opening will take place on March 27. TRON COASTER AND MAGIC KINGDOM Construction Update. In this video we look at the new Tron coaster and all the other new changes that are taking place at the Magic Kingdom in preparation for Walt Disney World’s 50th Anniversary in 2021. Busch Gardens Tampa is opening a new roller coaster for 2019 called TIGRIS, which is a Premier Rides Sky Rocket II. The park just release this Time Lapse video of the coasters construction. This is the first of 2 coasters coming to Busch Gardens Tampa. A second coaster will open in 2020 and will be an RMC redo of Gwazi. Check out Universal Orlando's updated Mardi Gras Parade for 2019. This year the park completely updated their parade with almost all new floats (even old floats were rebuilt) and a new theme, Animals. This really is one of the best theme park parades out there and brings big crowds too the park. It just a lot of fun. Universal's entertainment group has really upped their game over the last few years, with their new Christmas Parade, new Night Lights on Hogwarts Castle and the new Studios Cinematic Celebration Show.